We are excited to have Sue Booth-Forbes (formerly Paxman) as our keynote speaker this year. She moved to Ireland over ten years ago and has created a wonderful, nurturing artist’s retreat in her new home. She will speak with us about her vision and it’s fruition. Come join us for the Exponent II annual retreat for women. 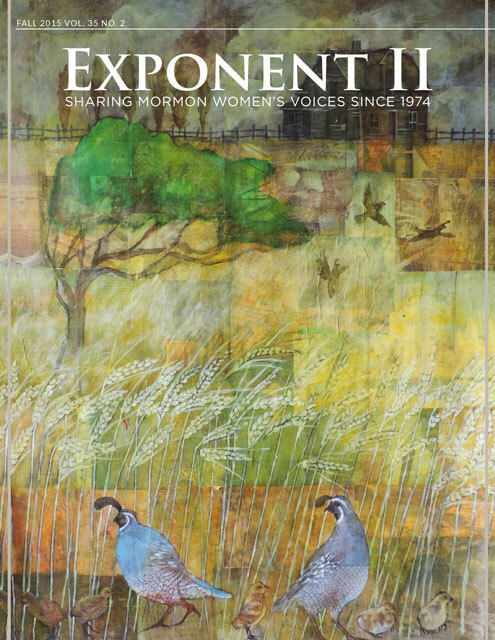 For more than 25 years, Exponent II subscribers and supports have been sharing a weekend of fascinating workshops, interesting keynote speakers, and informative and provocative discussion on a range of topics. For more information on registration and EXII’s retreats, check out our website, http://www.exponentii.org/ and click “Retreats” on the left side bar. If you’re interested in receiving emails about other events, join our listserve: http://groups.yahoo.com/group/exponent_supporters/.